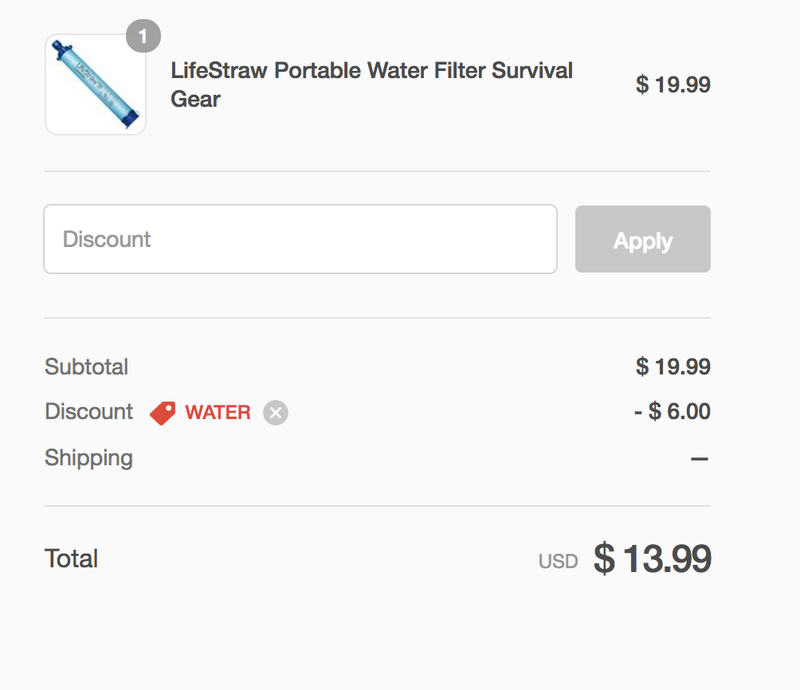 Proozy is offering the LifeStraw Personal Water Filter on sale for $13.99 shipped when you use code WATER during checkout. That’s $6 under the regular price/Amazon and the lowest we can find. Rated 4+ stars from over 6,000 Amazon customers. Having a LifeStraw Personal Water Filter at hand provides access to clean, safe drinking water in the event of a natural disaster or survival situation. There are no batteries to replace and no moving parts to wear out. Perfect for a vehicle or home emergency kit. Ensure peace of mind when abroad. Lifestraw removes 99.99% of bacteria and protozoa, including Salmonella, E-coli, Giardia and Cryptosporidium. Proven, reliable and effective, Lifestraw is the perfect accessory for international travel. Weighing only 2 oz. (54g), LifeStraw is the perfect water filter for hiking and camping. Drink from a bottle or straight from the nearest stream, puddle, or pond. It’s the fastest way to filter – never pump or wait for chemicals to react again. LifeStraw provides a compact, ultralight solution for clean drinking water in the field. Don’t bother carrying heavy water bottles – simply drink from the nearest river or stream.